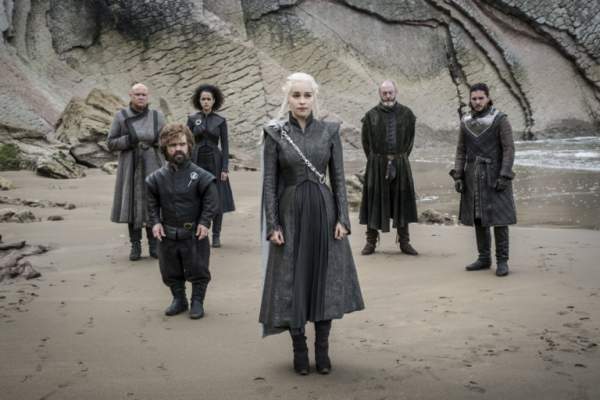 Game of Thrones Season 7 Episode 7 Live Streaming: Tonight is the finale of the seventh installment of HBO fantasy series. You can watch GoT S7E7 online on HBO, Now TV, Sky Atlantic, and Hotstar depending on your locations whether you are in the US, the UK, India or any other part of the world. This segment is titled The Dragon and the Wolf. It will air at 9 pm ET. The trailer is already out and you can watch it if you haven’t watched it yet. Guessing from the name, it is going to focus on Daenerys Targaryen and Jon Snow, probably. The show will be available only to those who have a Sky subscription. Within minutes of release, it will be available on a number of streaming and torrent sites. If you don’t know, the show has earned the title of most illegally downloaded shows of the year since 2011. According to a research conducted before the season 7 premiere, 3.7 million UK people were already planning to watch the show without paying. The same research concluded that 61% of the youth had plans to watch the new season. But, one-third of them were planning to pay to watch it officially. However, there is still a way by which you can stream Game of Thrones online for free. And as a matter of fact, it is legal too. The method is to watch GoT live via NOW TV, a video on-demand service of Sky. If you don’t about its plans, then it allows users to watch Sky channels without paying for an annual subscription fee. You can choose the channel depending on your needs from Sky Sports, Sky Cinema, and others on a daily, weekly, or monthly basis. You can access Sky Atlantic via Now TV’s Entertainment Pass for £7.99 a month. We can catch the live updates on Now TV via its dedicated set-top box as well as via a plethora of apps. The service includes a live and on-demand content. So, if you sign up after August 14 for a free 14-day period, then you will be able to watch all the previous Game of Thrones episodes along with the finale in the seventh season. You can access Sky services on a number of devices like Now TV Box, Google Chromecast, Roku, LG Smart TVs, Samsung Smart TVs, YouView, EE TV, Apple TV, Sony PS3, Sony PS4, Xbox 360, Xbox One, iOS, Android, as well as Windows and Mac machines. Stay tuned to TheReporterTimes for more updates regarding the tv series.